Die Ausbildungsinhalte entsprechen den Seminaren Klangmassage I-IV. Im Mittelpunkt des Abschlussseminars, das in der Regel etwa drei Monate nach der Intensivwoche stattfindet, stehen die Praxiserfahrungen der TeilnehmerInnen und die gemeinsame Erarbeitung von Problemlösungen. Nach Beendigung der Ausbildung, d.h. also am Ende des Abschlussseminars, erhalten die TeilnehmerInnen ein Zertifikat mit der Berechtigung, die Peter Hess®-Klangmassage im Rahmen der gesetzlichen Bestimmungen professionell anzuwenden. Die Intensivausbildungen beginnen in der Regel jeweils freitags um 18.00 Uhr und enden freitags um 12.30 Uhr; über eventuelle Abweichungen wird in der Teilnahmebestätigung informiert. Die Abschlussseminare beginnen stets freitags um 15.00 Uhr und enden sonntags um 12.30 Uhr. With the Peter Hess® sound massage, you decide for the original, a highly effective relaxation method, which Dipl.-Ing. For Physical Technology, Peter Hess, more than 30 years ago. The positive results led to a rapid further development of his method. Today it is used in the fields of wellness / relaxation, sound therapy and sound pedagogy. Or experience the sound massage in one of the 22 Peter Hess® academies world wide. Peter will be teaching mostly in German with English translation by qualified Peter Hess® method teachers. In a beautiful and relaxed atmosphere several days in the sound room, is possible in intensive training. So you learn not only new things, but also recover and recharge your batteries for your everyday life. The training is framed by sound meditations, which contribute to the harmony of the body, mind and soul and enable the integration of the learned. This makes learning the method easy. The aim is to enable the participants to safely, purposefully and client-oriented the sound massage for relaxation and health prevention. The respective needs and problems of the clients are taken into account in an individually designed sound massage. The effect of the sound massage is experienced in the holistic sense. In addition, the use of the sound massage for relaxation is discussed, taking into account certain diseases. Relaxation is one of the most important foundations in health and burn-out prevention. In this way, you will be intensively trained to be resonant for the needs of your clients in order to tailor your sound offer. The focus of the final seminar, which usually takes place approximately three months after the intensive week, is on the experience of the participants' experience and the joint preparation of problem solving. Upon completion of the training, i. Ie, at the end of the final seminar, the participants receive a certificate with the right to professionally apply the Peter Hess® sound massage in accordance with legal requirements. Part of our training in the Peter Hess® sound massage is that the participants have to receive three sound massages from authorized trainees. This takes place in the three months between the intensive seminar and the final seminar. The costs for the 3 training sound massage of 65 € each should be taken into the total costs of the training. It is about experiencing, qualified sound massages for relaxation during this period. Intensive courses begin on Fridays at 6 pm and end on Fridays at 12.30 pm; Of possible deviations will be given in the confirmation of participation. The closing seminars always start at 3 pm on Fridays and end at 12:30 pm on Sundays. If you would like to purchase the higher quality certificate from the "European Association for Sound-Massage-Therapy e.V. ", you can attend the seminar "Individual sound massage easily, skillfully and safely" about 6 months after your final seminar. Kursgebühr:860,00 € (+ 310,00 € Abschlussseminar), die Skripte kosten 30,00 € (inkl. Mwst.) extra. Über diese Summe wird Ihnen eine gesonderte Rechnung zugesendet. 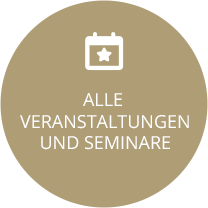 Hinweis 1:Die Bescheinigung über die drei Ausbildungsklangmassagen muss bis 14 Tage vor Beginn des Abschlussseminars im Peter Hess® Institut vorliegen! Hinweis 2:Teilnehmer aus Niedersachsen können für alle Intensivausbildungen Bildungsurlaub beantragen. Wir beraten Sie gerne, bitte rufen Sie uns unter Tel. : 04252 - 9389114 an. Tipp:Unsere Intensivausbildungen sind anerkannt nach dem Niedersächsischen Bildungsurlaubsgesetz. Die Intensivausbildungen in Nordrhein-Westfalen sind dort als Bildungsurlaube anerkannt. Anerkennungverfahren in anderen Bundesländern laufen noch.